I traveled to the Bear River Lodge in northern Utah to test the all-new Can-Am Maverick Trail. 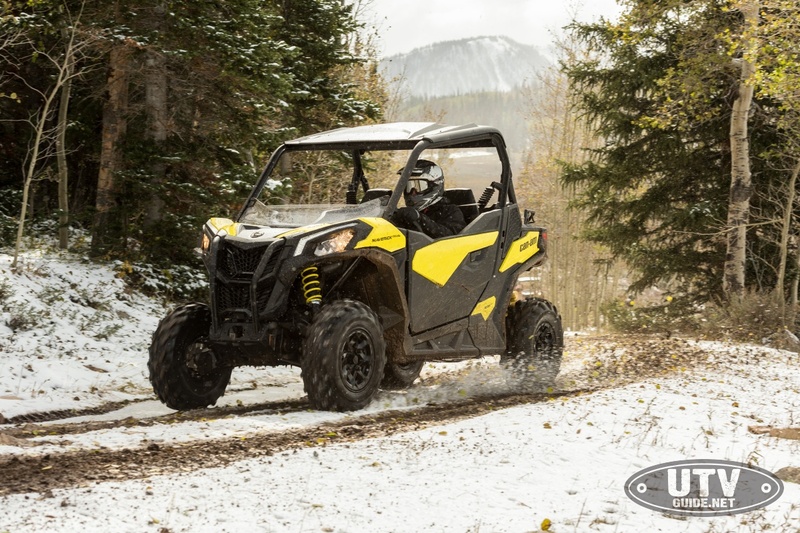 This new offering from Can-Am opens up the 50-inch market segment that Polaris targeted first back in 2007 with the original RZR 800. 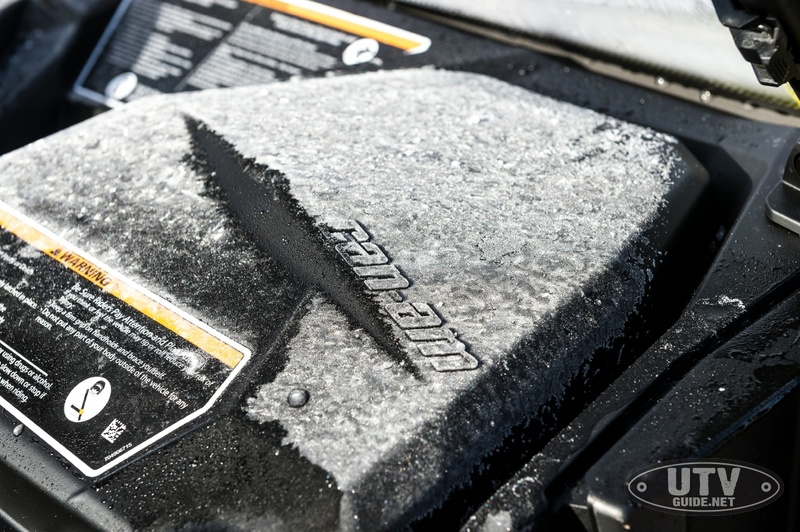 Since 2007, Arctic Cat / Textron (Wildcat Trail) and Honda (Pioneer 500) followed with 50-inch trail capable vehicles so we now have four major manufacturers with vehicles in this segment (see 50-INCH TRAIL CAPABLE UTVS). While I don’t have any 50-inch trail restrictions out where I live in California, I have tested all the other vehicles and was eager to get behind the wheel of the new Maverick Trail in Utah. The lodge is set on Bear River in Uinta-Wasatch-Cache National Forest and is 29.2 miles from Interstate 80, and 60 miles from Park City. 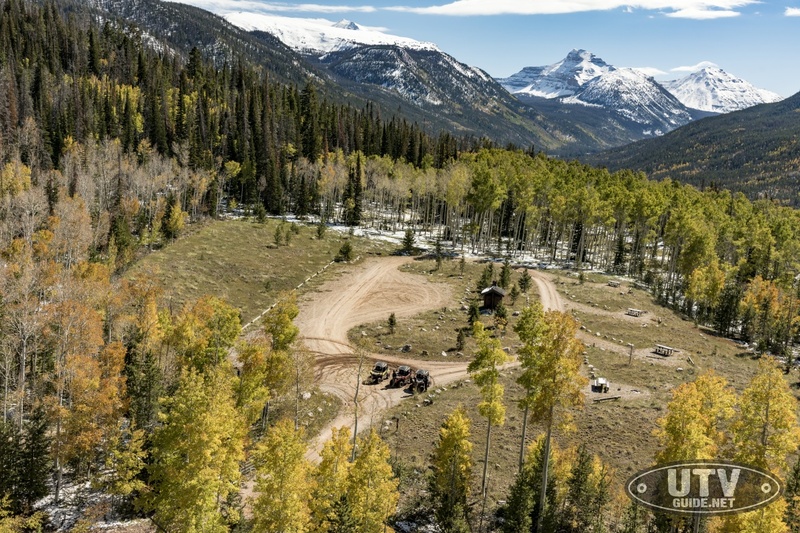 The great part about the Bear River Lodge location is the access to hundreds of miles of national forest OHV trails. 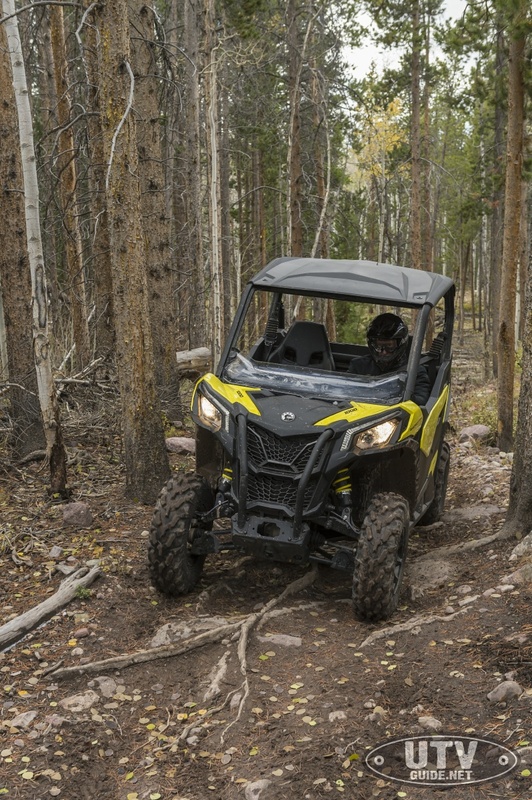 Some of the trails in this area are restricted to either 60-inch or 50-inch maximum vehicle widths, and vary from graded roads to narrow, steep trails so it was a perfect location to test out the 50-inch Can-Am Maverick Trail. The lodge is up around 8,000 feet, so in the winter you be riding snowmobiles instead of ATVs and UTVs. We arrived in early October and there was snow on the ground in many areas. Temperatures topped out at 35 degrees on our first day, and this was a stark reminder to always be prepared for all sorts of weather, especially once Fall hits. We had two days of riding set aside and I chose a 75HP Maverick Trail 1000 DPS for the morning of day one. The Maverick Trail is also offered in a 51 HP 800cc model as well as a 1000cc without DPS (dynamic power steering). 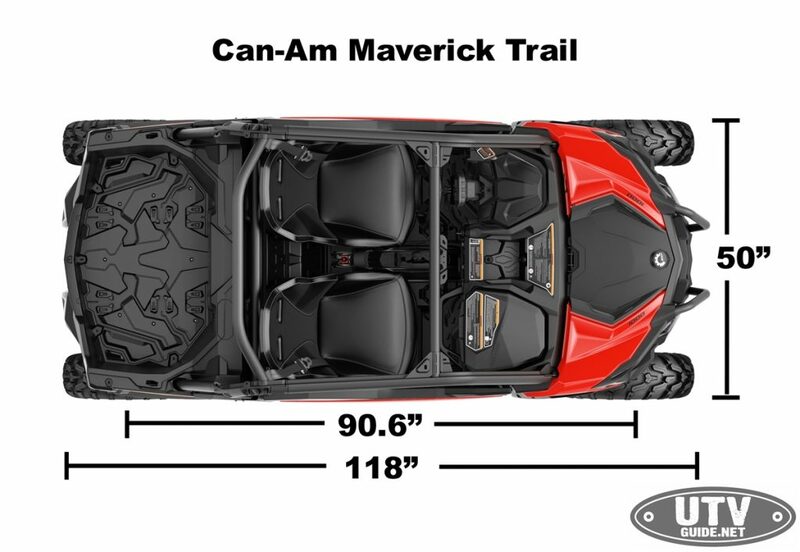 The very first thing I noticed when I walked up to the new Can-Am Maverick Trail is the extended wheelbase and overall length. 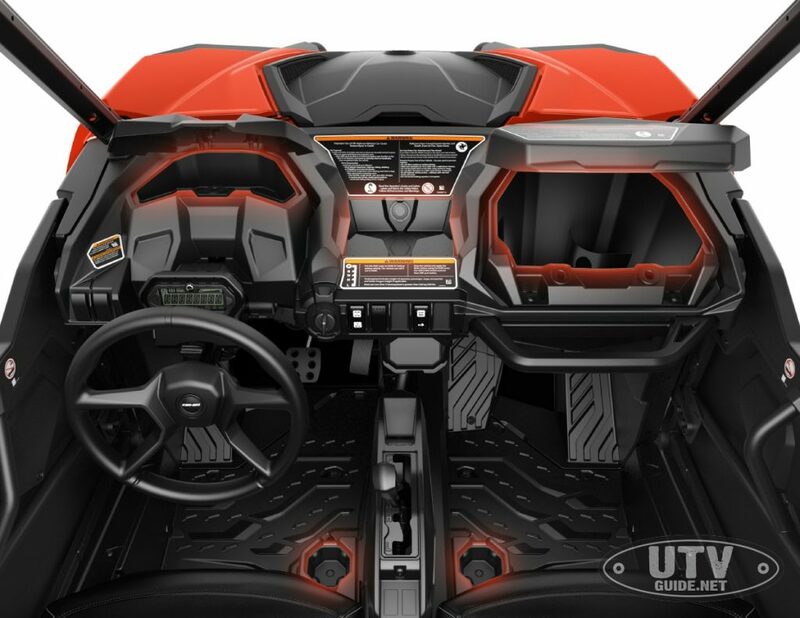 At 90.6 inches, the wheelbase is almost 12-inches longer than a Polaris RZR 900 and the overall length is just over a foot longer. Can-Am was able to use some of this extra room in the cockpit and that was very welcome for my 6′ 1″ frame. In my opinion the extra wheelbase is the single biggest differentiator for the Maverick Trail over the RZR. While a longer wheelbase not only makes for more legroom in the cab, it also makes for a smoother, more predictable ride in rough terrain. The larger wheelbase does come at a price though – larger turning radius, larger vehicle and a smaller break-over angle. 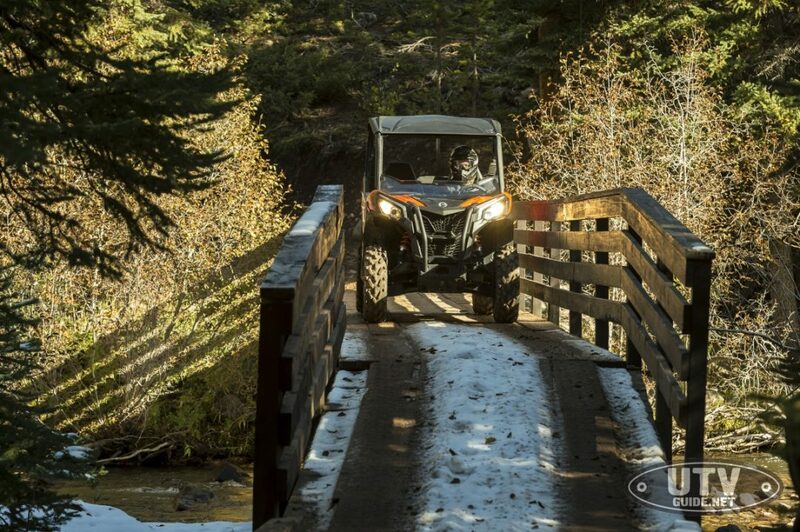 60-inch bridge is no problem for the new 50-inch @canam Maverick Trail! The biggest advantage to the longer wheelbase is in the Maverick Trail’s cornering ability. I felt confident driving the into corners and mashing the throttle without feeling tippy or unstable. This is pretty impressive for a 50-inch wide vehicle. These vehicles are all 50-inches wide, so figuring out what attributes are most important to you is key. For the terrain we explored near the Bear River Lodge where there were only a few vehicle width restrictions, I preferred the extra wheelbase. But on pure 50-inch trails with tight turns and trees the extra length could make a difference. I don’t have turning radius specs to compare each vehicle head-to-head, but it is natural to suspect a longer vehicle may not turn quite as sharp. The Maverick Trail is right at home in the tight woods. 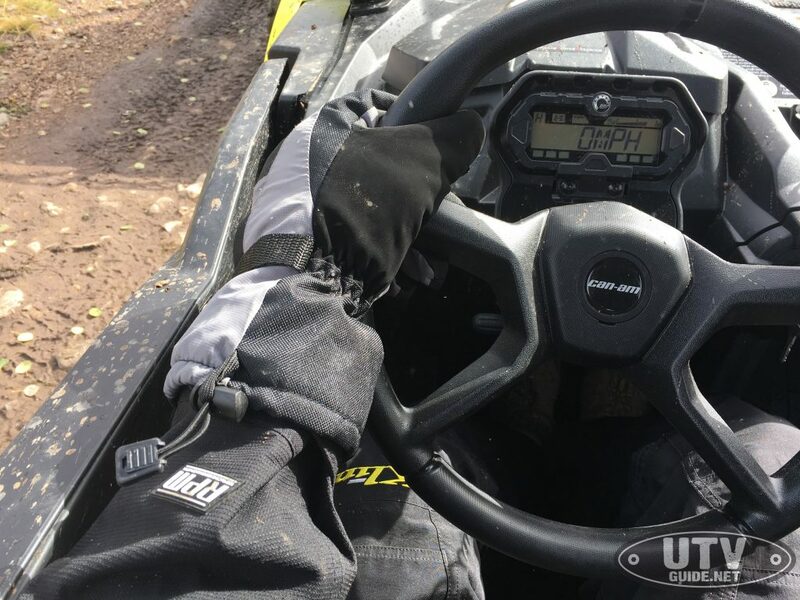 I favor a UTV with power steering so the DPS model was my favorite, but the standard model worked well with a balanced amount of steering effort. Included with the Trail 1000 DPS is also a rear differential that can be locked and unlocked (turf mode). I really like this option because it allows you to turn sharper with the differential open or unlocked. It also won’t chew up your lawn and your tires won’t chirp on concrete or asphalt. Keeping within 50-inches wide is a tough task if you want to fit a big guy in the car. I definitely favored the doors over nets, but I would like a little more elbow room. Just can’t figure out where to take that room away from to get it. I think Can-Am has utilized width as best as possible given the 50-inch constraint. One thing Can-Am did figure well is cab storage. The glove box on the passenger side is big, plus there is another on the driver’s side that is great for phones, wallet, glasses, etc. The Maverick Trail is built with accessorization in mind. BRP has over 100 factory designed and engineered gear bags, gear mounts, gun racks, etc. for the Maverick Trail. Like the Trail’s bigger siblings, Can-Am utilizes LinQ attachment points for easy installation of many of the accessories. Overall it is great to see another option for the 50-inch trail capable market. I really liked the stretched wheelbase that creates cockpit with more legroom for taller drivers like me. The Can-Am Maverick Trail is comfortable, capable and the extended wheelbase really makes the vehicle more stable and predictable when driving aggressively. Can-Am also did a great job keeping the Maverick branding and design consistent with the Trail. It doesn’t like just like an X3, but you can tell it is from the same family. Drive Train Select­able 2WD / 4WD with Visco-Lok auto-locking front differ­ential True 4 modes traction system: 2×4 open rear dif., 2×4 locked rear dif., 4×4 open rear dif., 4×4 locked rear dif. Front Tires 26 x 8 x 12 in. Rear Tires 26 x 9 x 12 in. L x W x H 118 x 50 x 69 in.